Trump Names Conservative Commentator Stephen Moore For Fed Post Moore, a conservative commentator and former Trump campaign adviser, has joined the president in criticizing the central bank. "The Fed is sucking the oxygen out of the economy," Moore has said. Stephen Moore, a conservative commentator and former Trump campaign adviser, has joined the president in criticizing the Federal Reserve. President Trump said Friday he will nominate conservative TV commentator and former Trump campaign adviser Stephen Moore to one of two vacant seats on the Federal Reserve Board. Moore, 59, has joined the president in criticizing the central bank, led by Chairman Jerome Powell, for raising interest rates. "I have known Steve for a long time — and have no doubt he will be an outstanding choice!" Trump said in a tweet. The reaction to Moore's expected nomination from some corners was negative, sometimes strongly so, with some economists calling him unfit for the job. "Steve is a perfectly amiable guy, but he simply does not have the intellectual gravitas for this important job," said Harvard economist Gregory Mankiw, who chaired the Council of Economic Advisers under President George W. Bush. In a blog post, Mankiw said Moore "should not be confirmed." 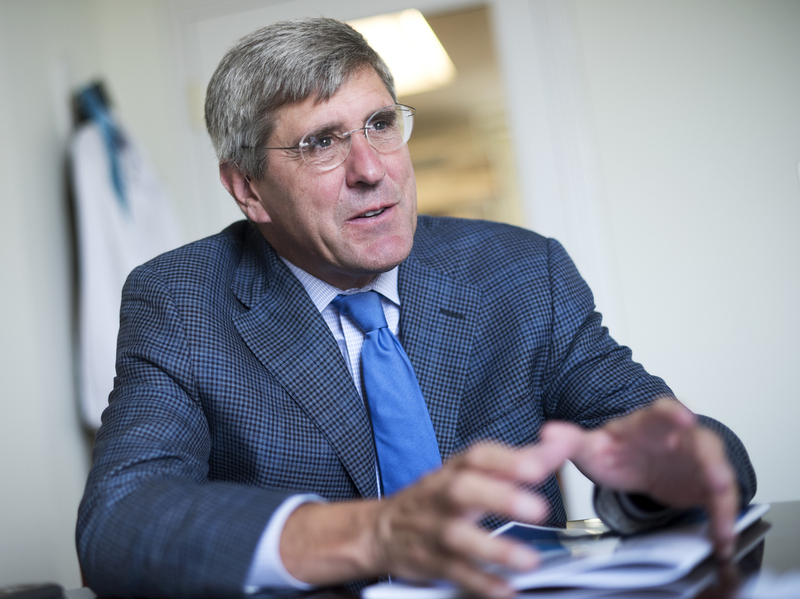 University of Oregon economist Tim Duy, an expert on the Fed, told The New York Times: "Stephen Moore is a particularly poor choice for the Federal Reserve Board. He appears more devoted to pursuing a far-right economic agenda than willing to understand the complexity of economic policy." With a resume stretching back to the Reagan administration, Moore has spent years in the conservative trenches, worked for the Joint Economic Committee in Congress and later working at the Cato Institute and the Heritage Foundation. He also founded the Club for Growth, where he advocated a steady diet of tax cuts for years, in both good times and bad. He has also been a longtime media commentator, most recently for CNN. He has long been associated with the editorial page of the Wall Street Journal, where he served on the editorial board. The nomination, which is subject to Senate approval, would elevate someone to the Fed who has, like Trump himself, been a big critic of the central bank. Moore argued after the financial crisis that the Fed's efforts to stimulate growth through very low interest rates and bond buying would lead to higher inflation, something that did not happen. He's a longtime proponent of supply-side economics, the idea that growth is best stimulated by lowering taxes and reducing government regulation. He recently criticized the Fed for raising interest rates and has even called for the Fed to reverse its most recent rate hikes. Should America Keep Giving Billions Of Dollars To Countries In Need? "The Fed is sucking the oxygen out of the economy and has created an economically debilitating deflation," Moore told The New York Times recently. "The one guy who gets this is Trump," Moore told the Times. "He told me in a meeting last month that the Fed is preventing us from staying on a 3 to 4 percent growth path." On Wednesday, Fed policymakers signaled they may be done hiking interest rates this year, amid signs of economic slowing.